Tropicana Kids is an all-new line of certified USDA Organic premium fruit juice drinks offering delicious taste for kids with nutrition parents expect. Available in three flavors—Fruit Punch, Mixed Berry and Watermelon—Tropicana Kids is made with 45 % real fruit juice and mixed with filtered water, with no added sweeteners, no artificial flavors and is an excellent source of vitamin C. Plus, the packaging features a clear panel so moms and dads can see the goodness inside, and feel good about serving Tropicana Kids to their children. Tropicana Coco Blends is a tasty Tropicana juice drink featuring a splash of coconut water providing consumers a delicious way to enjoy the coconut water trend. 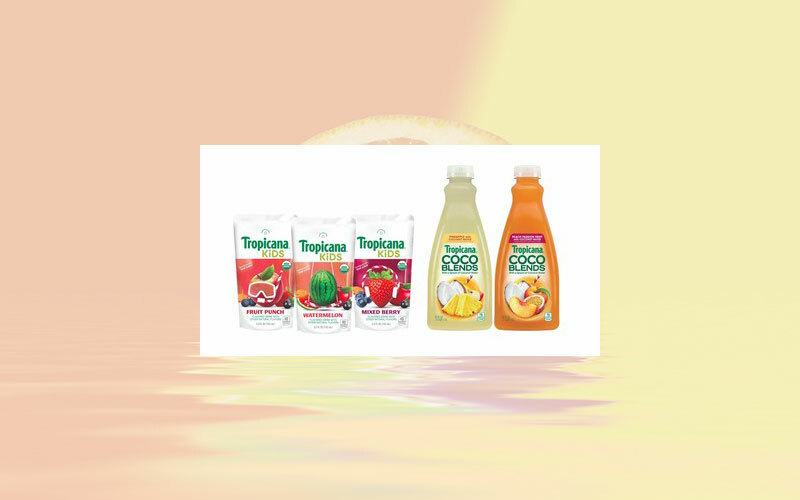 Available in two fun flavors—Pineapple with Coconut Water and Peach Passion Fruit with Coconut Water—Tropicana Coco Blends offer a refreshing twist to great-tasting Tropicana juice with no artificial sweeteners, no artificial flavors and 10 % coconut water. Both Tropicana Kids and Tropicana Coco Blends are available in early 2018. You can find Tropicana Kids in multi-packs in the juice box aisle at select retailers in the USA and through online retailers. Tropicana Coco Blends can be found in multi- and single-serve sizes with other chilled juices at select retailers nationwide.